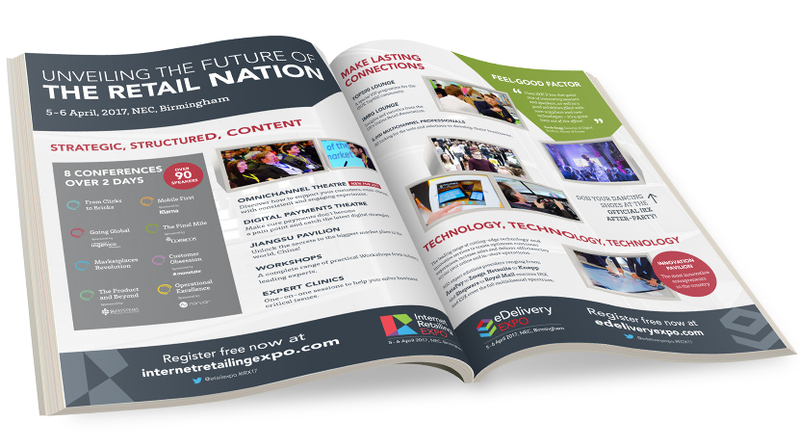 The Internet Retailing Expo is an event for which we provide all marketing pieces yearly. Each year the concept of the event is approached differently in order to innovate and engage. This is reflected on all our work, including the magazine gatefold and double page spread featured here.